In most cases, interest is a deductible expense for your business when it comes to your taxes. But there are some limitations and restrictions. How interest expenses are treated depends on whether the expense is for business items or property, on business debts (like credit card debt), or on investment interest. *Note: Deductions for interest expenses have been changed by the 2017 Tax Cuts and Jobs Act. These changes are reflected in this article. 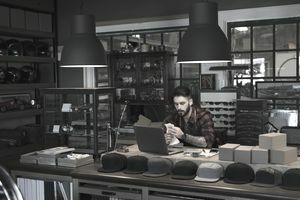 Businesses may deduct interest on loans taken out for business purposes, including mortgages on business property, term loans, and lines of credit. Effective in the 2018 tax year and beyond, interest expense deductions are limited for higher-income businesses. Smaller businesses can still take the full interest deduction. But the interest deduction for businesses with annual average gross receipts of $25 million or more is limited at 30 percent of the company's EBITDA (earnings before interest, taxes, depreciation, and amortization). You are legally liable for that debt. If you are audited, you will need to provide the paperwork to show the terms of the debt and the signatures. For example, a UCC-1 statement is often required on loans. Both you and the lender intend that the debt will be repaid. You need to show that you are making payments and that the lender is depositing those payments. A person-to-person loan with no activity might be suspect. You and the lender have a true debtor-creditor relationship​. There is an arms-length transaction here. It's not just you and your brother who loaned you money and doesn't want to be repaid. Prepaid interest: For mortgages on business property, you may end up prepaying interest from the settlement date to the closing date, as part of your closing costs. The IRS says that when you prepay interest, you must allocate the interest over the tax years to which the interest applies. You may deduct in each year only the interest that applies to that year. Interest expenses as part of the cost of goods sold: Interest on purchases made on credit for inventory purchases should be included in your cost of goods sold calculations. Investment interest expenses​: Generally, your deduction for investment interest expense is limited to your net investment income—that is, the interest expense cannot be greater than the income generated from the investment. But you may be able to carry over excess interest expenses to a future year's taxes. You may not deduct interest that must be capitalized—that is, interest added to the principal balance of a loan or mortgage. This interest expenses must be depreciated along with the other costs of the business asset. Interest expenses for personal loans are not deductible, except for mortgage loan interest. But if you have a loan for mixed business and personal expenses, you may deduct the portion that is for business purposes. One specific instance of combined business and personal interest expenses deals with expenses for a home business. The business portion of home mortgage interest, as well as property taxes, is deductible as a business expense. Note that interest expenses are divided between mortgage interest and all other interest expenses. For partnerships and multiple-member LLCs, show these expenses in the "Other Deductions" section of Form 1065. For corporations, show these expenses in the "Other Deductions" section of Form 1120. IRS interest deduction rules are complicated. See IRS Publication 535 for more detailed information on business expenses and ​IRS Publication 550 on investment interest expenses and interest income. This article presents general information and is not intended to be tax or legal advice. Refer to IRS publications and discuss tax deductions with your professional tax advisor.